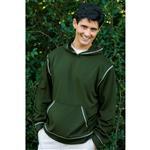 The Vintage Twisted Slub Jersey Full Zip Hood is a comfortable around town hoodie made from 60% cotton, 40% polyester heathered jersey slub fabric. 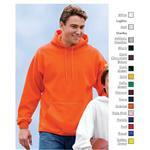 This hoodie can be made even better by adding your personal logo embroidered or screen printed. 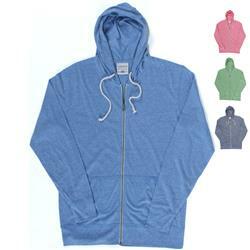 This is one of the softest hoodies on the market. 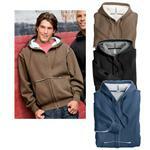 60% Cotton, 40% Polyester heathered jersey Slub fabric. 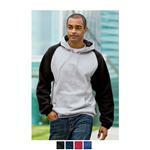 Full length metal zipper with off-white zipper tape. Off-white drawcords. Front puch pockets. Flatlock stitching throughout. This is definitely a staff favorite! Dimensions: Sizes S-3XL (pricing includes to XXXL).